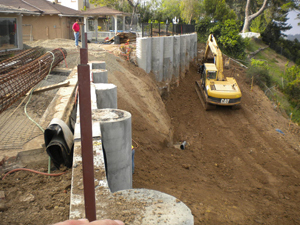 David Grover and Robert Hollingsworth initially met in 1978 when they both worked for one of the leading hillside geotechnical firms in Los Angeles. 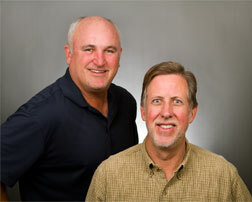 Dave Grover left that firm to start his own company in 1981 and Bob joined him in 1988 to create Grover-Hollingsworth with the goal of creating a firm focused on servicing the needs of hillside and valley homeowners in Los Angeles, Ventura and Santa Barbara Counties. 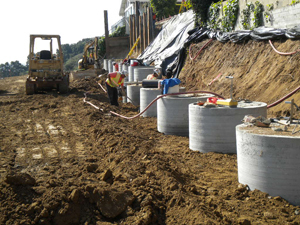 Grover-Hollingsworth strives to provide the highest level of technical competence and client service in the geotechnical consulting field. 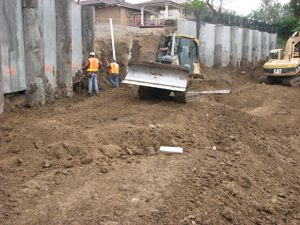 We endeavor to provide our clients a historical view of their property as well as a thorough understanding of the geologic and geotechnical conditions of their site. 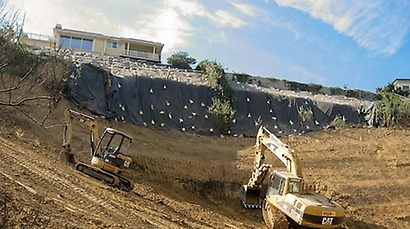 We specialize in finding solutions for the safe and successful development of complicated hillside sites. 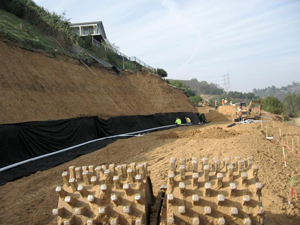 We have evaluated over 15,000 properties in Los Angeles, Ventura and Santa Barbara counties and therefore have a thorough understanding of the geologic and geotechnical conditions in these variable urban and hillside environments. Our work evaluating damaged properties allows our staff to evaluate first hand problematic construction methods and earth materials and avoid/design around these conditions on our projects. As geologists most of our professional staff members enjoy outdoor activities and are partial to the western states due to the wide variety of geologic and topographic terrain. Our staff members are outdoor enthusiasts, whether to be surfing the coast, climbing the peaks, skiing the slopes or climbing the face of sheer cliffs.